I studied under Hans Jonas at the Graduate Faculty of the New School in New York City from 1969-1972. 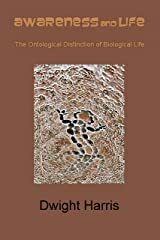 I've expanded his theory of life, presented in his courses and in his book, "The Phenomenon of Life", into a general theory of consciousness in my book, "Awareness and Life, The Ontological Distinction of Biological Life." Although I've had a multi-faceted career in music, cartooning, photography and computer systems, philosophical questions originally encountered in graduate school, and really since I was a boy, had nagged at me for 40 years. Starting about 8 years ago, I decided to complete my idea.